For Christopher Kong, spring 2010 began a year of living dangerously. It included months of grueling work bussing tables in an open-air dining room in Malaysia, and prepping vegetables and sauces in the adjacent sweltering kitchen. It meant living and working with Nepalese and Bangladeshi contract-crews sleeping four on the floor; sharing a single bathroom with 20 men and no hot water; washing clothes by hand and drying his stained apron over Chinese steamer-baskets in the restaurant’s kitchen. Where he came from is Seattle, where his father David (born in Malaysia) and his mother Lily (raised in Thailand) have been feeding their many loyal customers an abbondanza of Italian food for 20 years at Perché No, first at the restaurant’s intimate Lower Queen Anne digs, later at the tri-story paean to bella Italia they built near Green Lake. 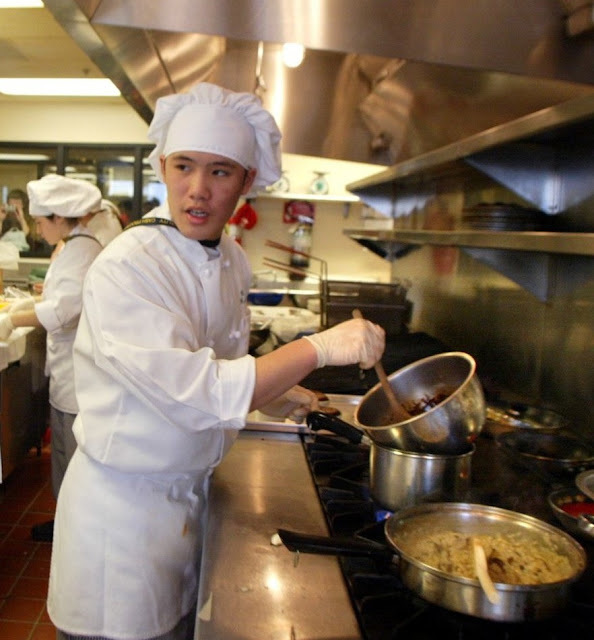 Coming from an ethnic Chinese family whose idea of home cooking is spaghetti alla carbonara wasn’t always easy for the Roosevelt High School grad. Kong was 6 years old when his parents opened Perché No (translation: “Why Not?”). While his mother ran the dining room, her boys played in a hallway behind the kitchen, a small TV for entertainment. “My dad could peer out and watch us when he was cooking,” Kong recalls. 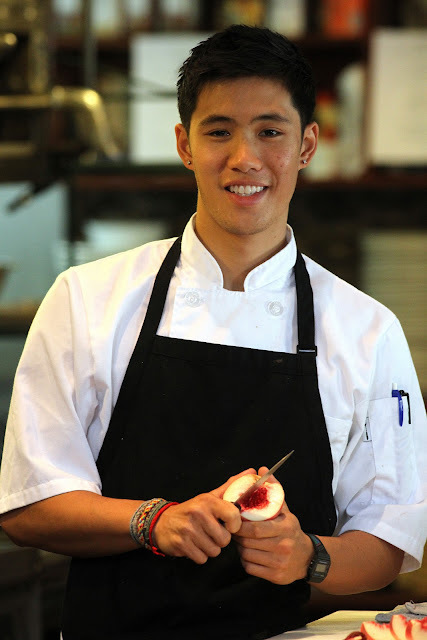 “You sacrifice a lot, from both perspectives, as parent and child,” he says, about growing up in a restaurant. “As a kid you want the freedom of a social life.” But as a family member, you’ve got your work cut out for you. Chris Kong, competing for his Roosevelt High School team at the Art Institute of Seattle in 2003. Which, as it turns out, was good practice for his post-graduation year in Southeast Asia. “It was amazing,” says Kong, of the year in which he got back to his family’s roots. At first he cooked beside his Malaysian aunties and worked in a village roti shop. In the end, he met up and traveled for two months with his younger brother, Alex. After months living in a shanty, Kong landed a job at an urban resort in Kuala Lumpur, cooking contemporary Thai and Burmese food. After working in Malaysia and eating his way through Cambodia, Vietnam, Laos, Thailand and Indonesia, Kong is sharing what he learned at Perché No’s monthly “Malaysian and Thai Nights.” (The next ones are slated for Nov. 28, Dec. 19 and Jan. 30). But he’s not yet done traveling. The restaurant will close Oct. 9-26 for a family vacation in Italy, a tradition his father instituted to keep their creative juices flowing. “You can work all the time, but you have to enjoy life as well — that’s one of my dad’s biggest philosophies,” Kong says.